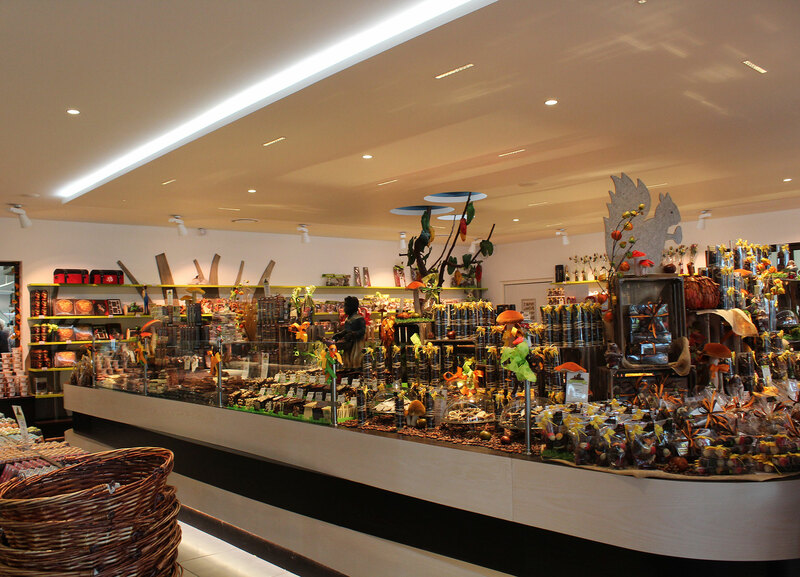 Groups of 20 to 50 people are able to visit the workshop and afterwards either to create their own particular chocolat bars or to taste pure chocolate. There are also workshops for the kids. Opening hours: Monday to friday from 9 to 12 am a. 2 to 6 pm / 1 month before Christmas and Eastern : Monday to friday from 9 to 12 am a. 2 to 7 pm + saturday from 9 to 12 am a. 2 to 6 pm (opening hours for Christmas and Eastern available at the workshop).